One online casino which uses a very robust but often overlooked software platform is EU Casino, they use SkillOnNet software which is a state of the art gaming platform which downloads rapidly. 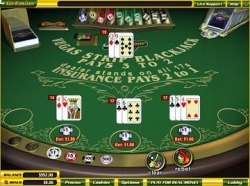 They do not have many Blackjack games on offer but those they do offer can be played either in a free play demo mode or for real money. 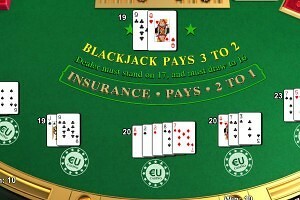 When you are playing Blackjack at EU Casino one game which is worth keeping your eyes peeled for is their Progressive Blackjack game, this one has some very liberal game play rules and we have listed how the game plays and pays below. When you are playing this Blackjack variant the Dealer is obliged to Stand his hand on any 17 valued hands or above in value. He will pay you out at odds of 3 to 2 for a winning Blackjack hand and all other winning Player hands are paid out at even money. 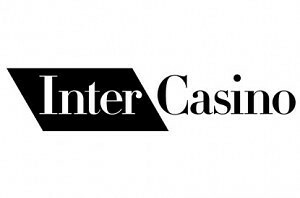 You may be offered Insurance and if you take this betting option which is a non obligatory side wager, should the Dealers hand be a winning Blackjack hand your side bet Insurance wager is paid out at odds of two to one. 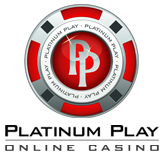 There is a special Progressive side bet wager also in play on this Blackjack variant and this will cost you a flat fee stake of 1.00 and when this bet is placed you will get paid a range of bonus payouts once you have been dealt certain hands. The progressive jackpot on this game is awarded when you have been dealt three 7’s all in the suit of Spades. The current progressive jackpot amount is displayed on the jackpot meter.